I realize that the skills required in doing mathematics can be transferred to real-life. 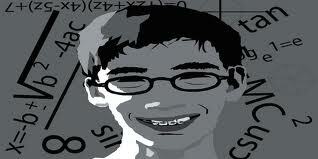 In mathematics, what is required is essentially to simplify all problems. Similarly, if one can see beyond the numbers and procedures involved, then one sees the intrinsic value of learning mathematics. Through mathematics, we can also impart and teach the kids values in life – as in the 10 Perfections (Paramis). How to do it? 1) Generosity (Dana) – Teach a friend, share what you know. 2) Morality (Sila) – One can never cheat his or her way in mathematics, all working must be shown. 3) Renunciation (Nekkhamma) – Mathematics is all about simplifying problems and expressions. 4) Wisdom (Panna) – One needs to “see things as they really are” before a mathematical problem can be correctly solved. 5) Energy (Viriya) – Mathematics definitely requires mental energy. 6) Patience (Khanti) – Work at it, don’t give up! 7) Truthfulness (Sacca) – Total honesty in doing mathematics. 8) Determination (Adhitthana) – If at first you do not succeed, try and try again. 9) Loving-Kindness (Metta) – Please be kind to your teacher, do your homework. 10) Equanimity (Upekkha) – Sometimes mathematics is easy, sometimes it is difficult. But hey, that’s life, isn’t it? This is Mathematics – Dhamma. Isn’t this wonderful?